Reach Gaya and transfer to hotel. On arrival check inn at hotel. Overnight at hotel. Morning proceed to visit the Vishnupad temple and perform the rituals pooja (pinda daan) for your ancestors. Later proceed to visit Bodhi Temple, Bodhi Tree and visit other local attraction of near to Bodhgaya. Bac kto hotel and free at your leisure. Overnight at hotel. Morning after breakfast depart for Varanasi surface approx. 265 kms. Afternoon reach and check inn at hotel. Evening will be at your leisure or explore the time at Ganga Ghat.Overnight stay in the hotel at Varanasi. 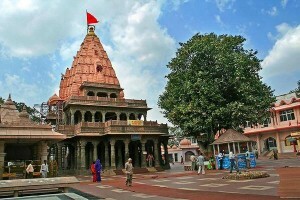 After breakfast visit local sightseeing of Varanasi includes Bharat Mata Mandir (Mother India), Durga Mata Temple, Tulsi Manas, Sankat Mochan Temple and the new Vishwanath Temple. Followed by Ganga Aarti at Dasaswamedh Ghat. Overnight at hotel. After breakfast breakfast drive to Allahabad, en route visit Vindhyachal (Goddess Durga Temple). Evenng reach & check inn at hotel. Evening proceed to Sangam for a holi dip and later visit other places of religious and historical importance with Ghats. Overnight stay in the hotel at Allahabad. Today after breakfast depart for Lucknow by surface approx. 210 kms. Afternoon arrival and check inn at hotel. Later visit local sightseeing of Lucknow. Overnight at hotel. Morning after breakfast you will be checkout from the hotel and half day sightseeing of Lucknow. transfer to Airport and drop for onward journey.